At Palmpring Organic Mattress, we are passionate about living an eco-friendly and healthy lifestyle. One aspect of the home that is often overlooked is the air quality, especially in the bedroom where you sleep. There are many factors that affect your room’s air quality, and you may not realize that your mattress may have the biggest effect of them all. Most people assume that the air quality in our homes is cleaner than the outside air. However, most homes have poor ventilation, dust accumulation, and pet dander, which builds up quickly and makes for poor air quality in our homes. To make matters worse, the conventional mattress has many side-effects that contribute to the issues mentioned above and add even more layers to the problem. The average mattress traps dust, pet dander, mold, and dust mites. All of these are common culprits for breathing problems, asthma, and allergies. Most mattresses, such as memory foam, are made with synthetic materials, which do not breathe. This leads to heat and moisture retention, which creates mold. Innerspring mattresses have springs which create empty space, leading to the accumulation of dead skin cells, dust, pet dander, and dust mites. These mattresses act as a trap for common allergens, while Palmpring Organic mattresses were created with the mission to repel them. Off-gassing is when toxic chemicals are released from everyday products, especially mattresses. Products are heavily treated with chemicals during the manufacturing process. It is such a common complaint among customers that most companies recommend letting the items air out for several days before using them. This is simply to get rid of the unpleasant smell that’s caused by the off-gassing chemicals, but the chemicals will still linger in the air. In fact, these chemicals can stay behind for years. Customers have had many complaints including dizziness, headaches, nausea, difficulty breathing, and fatigue. This major culprit of in-home air pollution can be found in almost every synthetic mattress, pillow, carpet, upholstered furniture, and even paint. The average mattress (and also pillows!) is made with synthetic materials and treated with chemicals, from memory foam to inner spring to hybrid mattresses. Even so-called “natural” mattresses, made with natural materials are not immune to off-gassing. These materials may still be grown or treated with chemicals. A mattress is not completely safe from this problem unless it is made with certified organic materials. 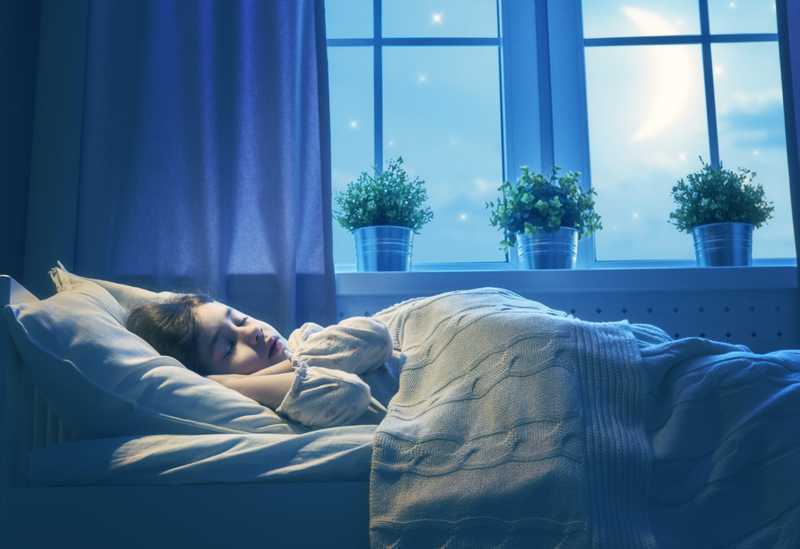 Here at Palmpring Organic Mattress, we are passionate about providing the healthiest night’s sleep possible for you and your entire family. We never treat our products with adhesives, PBDEs, VOCs, or any other toxic chemicals. We only use certified organic materials and are proudly made in California. Our certified organic materials also have the benefit of not trapping dust, dander, mold, or other allergens which affect your air quality and breathing when you sleep. Organic latex and coconut coir naturally repels dust, dander, dust mites, bed bugs, and bacteria, since they do not hold moisture and do not have open wasted spaces. Natural Ways to Add Extra Freshness! 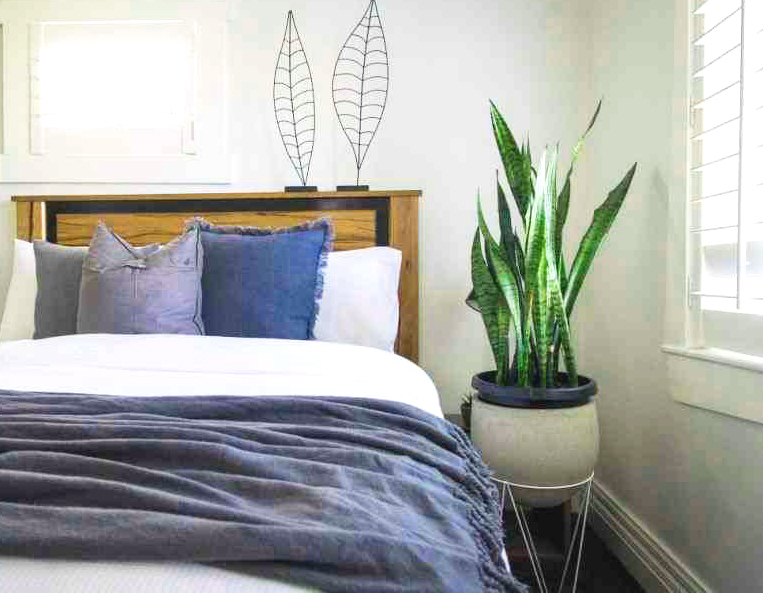 While choosing the best mattress is essential for overall air quality and sleep, we also love to incorporate sustainable nature into our homes. If you want an added boost of freshness in your bedroom, consider adding in a few hearty plants. There have been numerous studies, most notably from NASA, that certain types of plants in your bedroom can help with the air quality in the room. 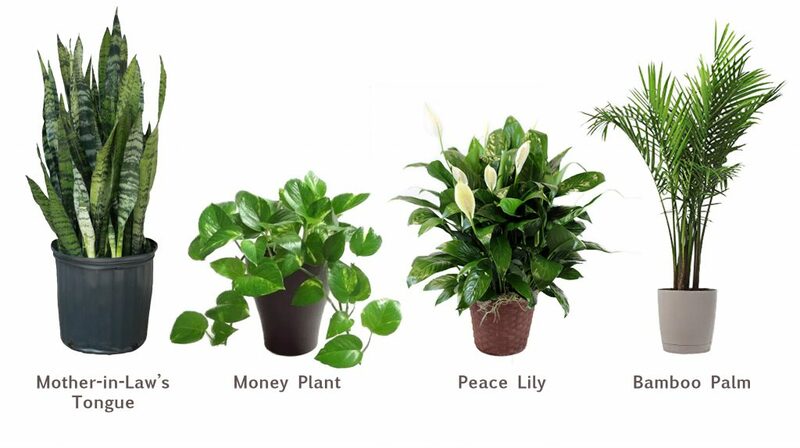 A few air cleaning favorites are Mother-In-Law’s Tongue, Money Plant, Peace Lily, and Bamboo Palm. Many people consider having plants to be both soothing and refreshing to the air in their homes! While we always recommend proper cleaning and care of your bedroom and mattress, choosing a Palmpring mattress can only benefit your indoor air quality and overall sleep for years to come!